Promotion Pros is the best place online to buy custom books and bookmarks to advertise your business. We are stocked with book lights, sticky books and circle shaped bookmarks, so no matter what you're searching for in a book or bookmark, you'll find something that fits the bill. Light the way and never let your customers' pages go dark with a booklight printed with your logo. Showcase your company name and logo to promote brand recognition and use a functional and fun item to do it! Our customizable 'My Favorite Bank' coloring book features 16 pages of educational games, puzzles and activities designed to inform children about financial institutions. 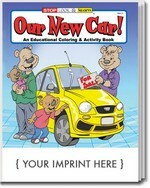 Our custom imprint, 'Our New Car' coloring and activity book features 16 pages of educational puzzles, games and coloring activities, designed to get children excited about their new family car. 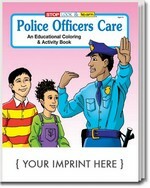 This customizable 'Police Officers Care' coloring book features 16 pages of games, puzzles and activities, designed to build positive associations between children and law enforcement. 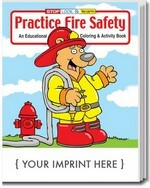 This customizable fire safety educational coloring book features 16 pages of games, puzzles and activities, designed to educate children about fire-safe practices. 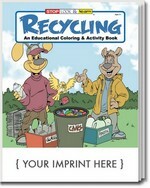 This customizable recycling educational coloring book features 16 pages of games, puzzles and activities, created to inform children about the importance of recycling practices. 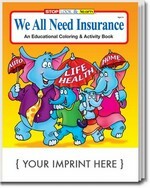 This custom imprint, 'We All Need Insurance' coloring and activity book features 16 pages of educational puzzles, games and coloring activities, designed to help children learn useful lessons about the importance of insurance. 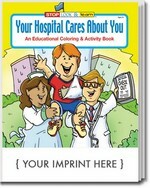 This custom children's hospital educational coloring book features 16 pages of games, puzzles and coloring pages, designed to help children understand the importance of the hospital. 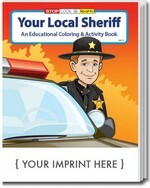 This customizable 'Your Local Sheriff' coloring book features 16 pages of games, puzzles and activities, designed to build positive associations between children and law enforcement. 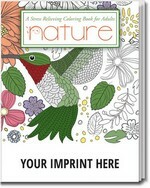 This adult coloring book is designed with 24 detailed nature themed illustrations, ideal for stress relief. 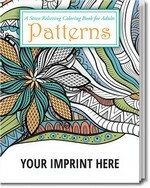 This adult coloring book is designed with 24 detailed pattern themed illustrations, ideal for stress relief. 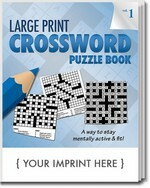 This large-print crossword puzzle book features 24 puzzle pages and a single custom logo imprint. 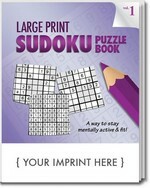 This large-print Sudoku puzzle book features 24 puzzle pages and a single custom logo imprint.